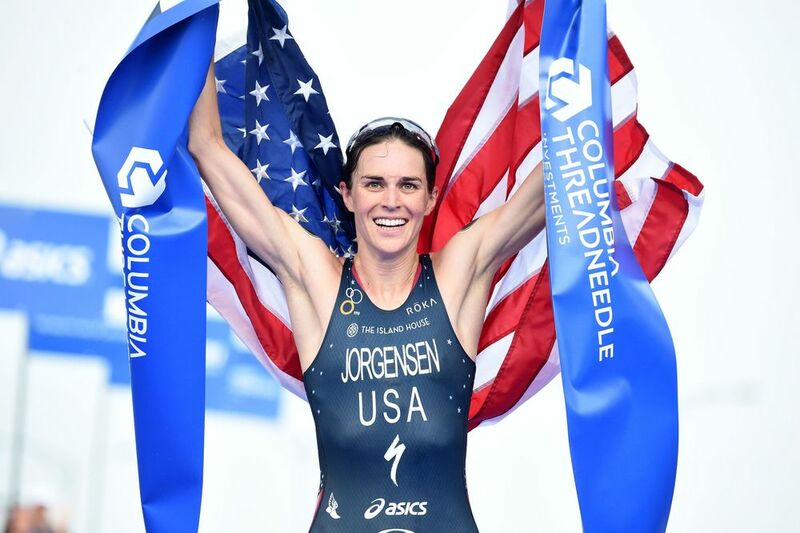 2012 U.S. Olympian and 2016 Olympic qualifier Gwen Jorgensen will award $25,000 in scholarship funding to junior triathletes and paratriathletes for the third straight year, and applications are now being accepted. Launched in 2014, the Gwen Jorgensen Scholarship was created to assist junior draft-legal triathletes and paratriathletes in their pursuit of excellence in the sport. In 2016, $25,000 and mentoring services with Jorgensen will be awarded to one or multiple applicants who demonstrate financial need, creative use of funds and passion for the multisport lifestyle. Members of the multisport community, including athletes, coaches and race directors, are welcome to apply, but funding must be applied to programming, training or travel costs for junior triathletes ages 19 and under. Details on how to apply for the scholarship are available at gwenjorgensen.com/scholarship. Applications must be submitted to [email protected] by Sept. 21, and the scholarship will be awarded on Nov. 29. To date, more than $40,000 has been awarded to 18 grant recipients. The scholarship is made possible in cooperation with the USA Triathlon Foundation, New York Athletic Club and Roka, Jorgensen’s wetsuit sponsor. 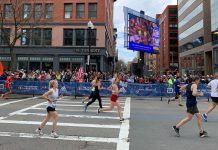 Tax-deductible donations are also being accepted to the Gwen Jorgensen Scholarship, and for each additional dollar donated, Jorgensen and her husband, Pat Lemieux, will match it (up to an additional $5,000). To make a donation, make a check payable to the USA Triathlon Foundation and mail it to: USA Triathlon Foundation, C/O Gwen Jorgensen Scholarship, 5825 Delmonico Drive, Suite 200, Colorado Springs, CO 80919. 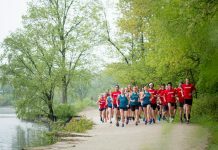 Donations are also accepted at usatriathlonfoundation.org. 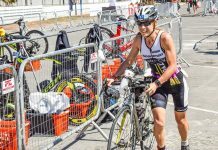 Jorgensen is the defending two-time ITU World Champion and has won 17 ITU World Triathlon Series titles, more than any other woman in the sport. She will compete in the Rio de Janeiro 2016 Olympic Games on Aug. 20.